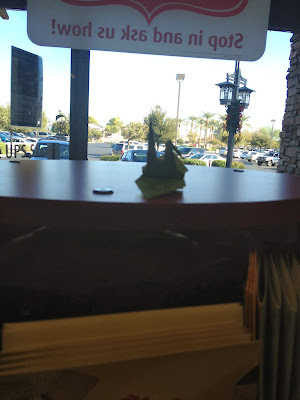 I decided to take a quick trip into the UPS Store to release a crane while the rest of my party was popping around the food store. Can't turn up an opportunity when I see it! 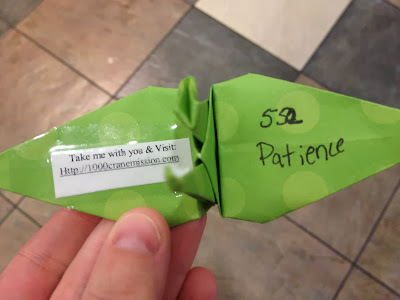 I've learned as hard as it may be, I have to be patient when releasing cranes. I try not to be seen or do anything to be remembered. Although I sometimes just want to place one quickly, it takes a bit more time to wait for people to pass and the opportunity to take a picture arises. Patience is a virtue, that's for sure!